Benepik is among the most emerging HR Tech start-up in Asia. Founded in 2015, Benepik is India’s first Employee Experience Platform. Our mission is to help organizations achieve superior results through an engaged & motivated workforce. You will get an opportunity to work with a high performance team in a fast paced environment. 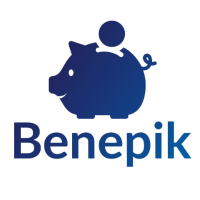 Benepik is place for people who are passionate about solving business problems through emerging technologies such as Mobile, Analytics, Artificial Intelligence, Machine Learning and IoT. - Interact with the business users in order to understand their problems and needs. - Document and analyze the business needs and requirements. - Evaluate Clients and User feedback to develop quality improvement processes and streamline the existing processes. - Develop requirements specifications such as Business Requirements Document, Process Flows and Templates. - Overall Testing of the Final Product delivered to the stakeholders as per the Documentation done.